I did not “unwrap” the small details, like the parts of the propeller mechanism, because I will “paint” all the small parts using procedural textures. Because of the holiday break, during July and August I will report my progress every two weeks. I will return to weekly reporting in September. I have just begun the third stage of this project: “painting” the model. At this moment I am unwrapping its meshes in the UV space . I will deliver you a full post about this process next Sunday. Today I will just signalize how it looks like. 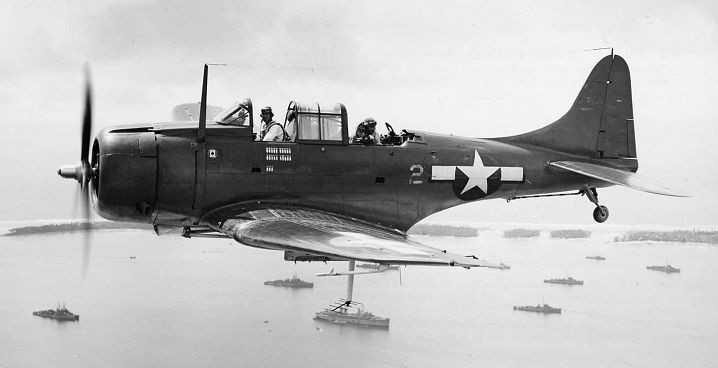 Last week I found a new edition of Bert Kinzey’s “SBD Dauntless” book (Figure 59‑1). After ten years break, Bert started to continue his “Detail & Scale” series, this time in a different form: digital editions. 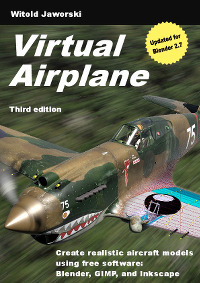 This e-book is the “updated and revised” version of an earlier publication (from 1995). For me, the most important part of Kinzey’s books are the “walk around” photos. They differ from all other “walk arounds” by careful selection of the pictures and comprehensive comments that explain many technical details depicted on these images. Usually these comments are as important as the photos.